for two hours of rare East Coast Doo Wop with your host Lee Joseph and special guest, Mr. Jay! 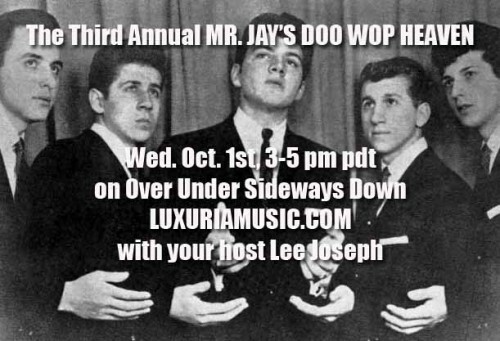 On Oct 2, 3-5 PM Pacific, tune in Over Under Sideways Down on LuxuriaMusic.com for two hours of original Doo Wop 45s with your host Lee Joseph and guest Jay Marshak – on his second annual visit to the show! 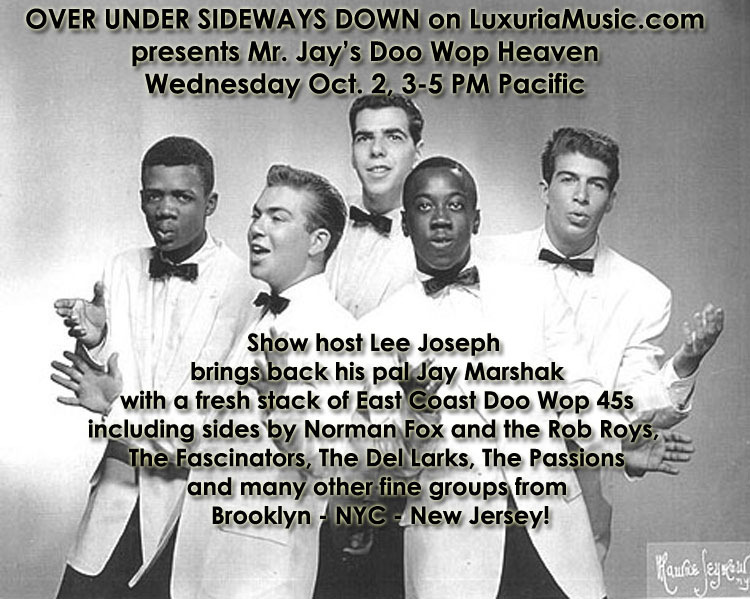 Jay will be bringing in a stack of Doo Wop Wax from groups such as Norman Fox and The Rob Roys, The Fascinators, The Del Larks, The Passions, and others from Brooklyn, NYC and New Jersey!